Arsenal have a strange squad of players, a composite blend of the over-paid, over-hyped and under-performing. But worry not. New blood is on the way. 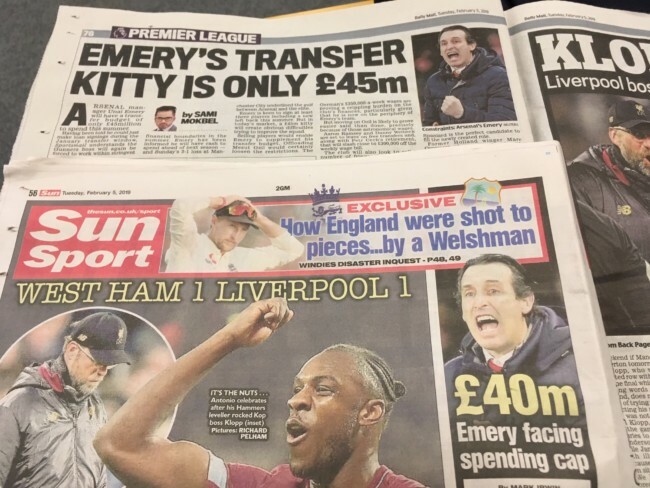 The Sun says Arsenal are looking to recruit at least five new faces for next season. And they have a whopping £40m to get them. The transfer budget will go up should Arsenal qualify for the Champions League either by finishing in the top four or winning the Europa League. Can they do it? Can a club that paid over £30m for the lumpen Mustafi and let Aaron Ramsey leave for free do something right? If they do, then Emery will have £60m for spend on new faces – what Manchester City invest in a reserve full back. The Sun, however, doesn’t tell readers who that figure was arrived at. why wold Arsenal go public with their budget? And why does the Mail tell its readers: “Emery’s Transfer budget is only £45m.” And in the Mail Arsenal needs “at least three players” to “join the elite”. 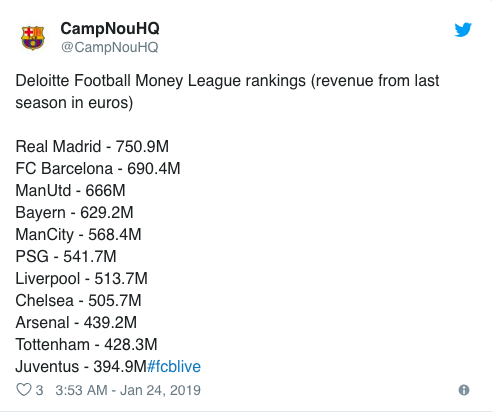 Arsenal do have the money. They also have an absentee owner uninterested in seeing his team win on the field.